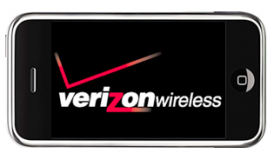 Rumors that Apple is developing an iPhone for Verizon, which have been circulating for nearly two years, peaked again in the last week. One source has been telling any reporter who would listen that Verizon tech support is already being trained to support the new device. But it took a story in the Wall Street Journal, posted online after the market closed Monday, for the Street to take the rumors seriously. The stock, which closed at yet another all-time high of $232.39, jumped as much as 5.72 points (2.46%) in after-hours trading. The new model would be built around the CDMA cellular protocol that Verizon uses, rather than the GSM technology used in today's iPhones or the 4G (Long Term Evolution) network Verizon has said it is building. It would be manufactured by Pegatron Technology Corp., the contract manufacturing subsidiary of Taiwan's ASUSTeK Computer Inc., rather than Hon Hai, Apple's regular iPhone contractor. Mass production is set to begin in September, although the Journal is not clear when Apple might make it available for sale. It's been widely reported that Apple is preparing a second new iPhone — a successor to the iPhone 3GS — and the Journal's sources say this phone should be ready for release this summer.